Sometimes you're out and about and you just don't have time to find an outlet before your phone starts to die. 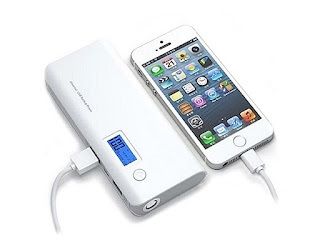 Well, this portable powerbank is going to save you a lot of time and stress! Easily carried in a purse or pocket, this charger is packed with a giant 12,000 mAh battery that will get your devices back up and running in a jiffy again, and again, and again.